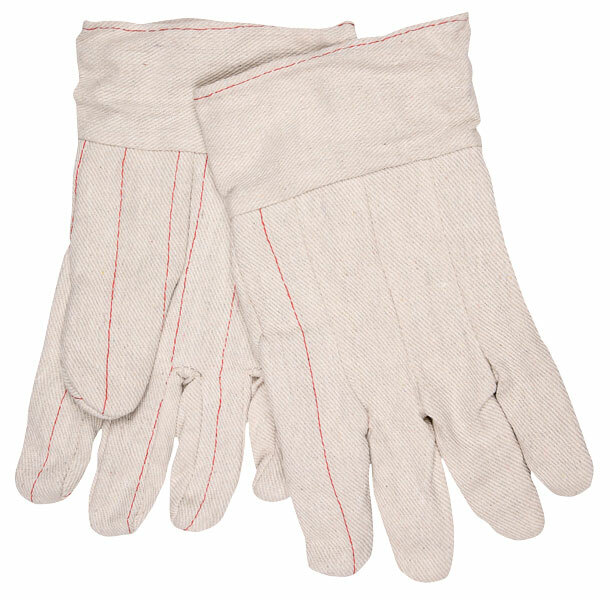 Double palm cotton gloves are offered in both nap- in and nap-out styles. Perfect for those applications requiring protection from low heat. The 9018CB double plam glove features an 18 ounce nap-in material and has a 2.5" band top for additional safety.